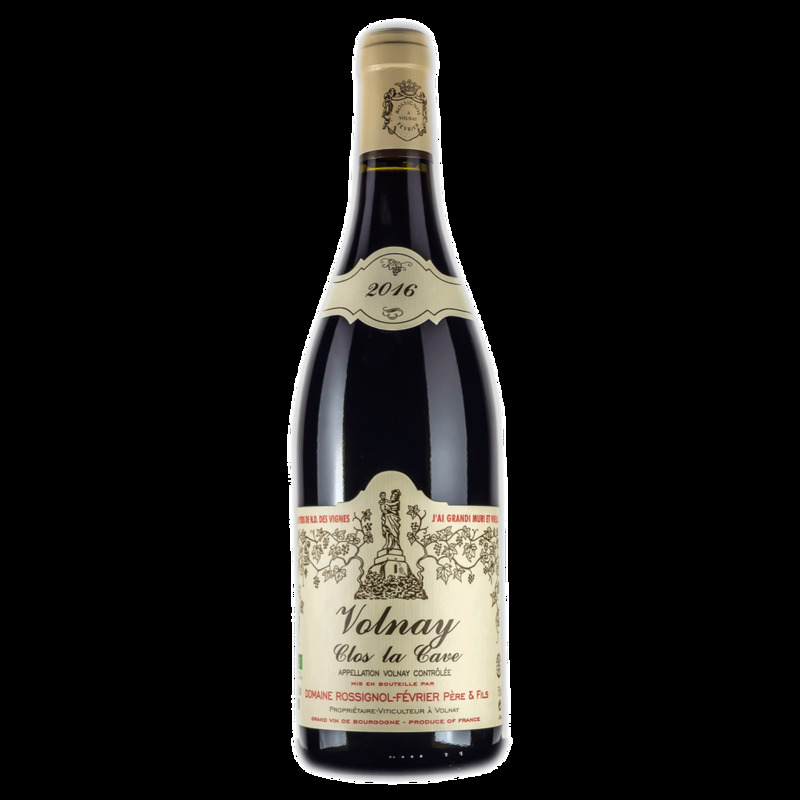 Wine Domaine Rossignol-Fevrier Volnay Clos La Cave 2014 - Royal Wine Merchants - Happy to Offer! Frederic Rossignol is the 5th generation to run this family domaine. Today’s domaine adds the Février name which comes from Frederic’s mother. Everything here is Biodynamic, and certified so since 2013. Destemmed, no new oak. Unfiltered. Wide fresh, floral – über-pretty aromas. Direct, lithe, clearly more mineral, mouth-watering, high-toned, effusive fruit. Again a wine that grows from the mid-palate. And again ending up with a layered delivery. Super!